1) A VALID, state issued I.D. is required to verify address for all keg purchases, regardless of age. 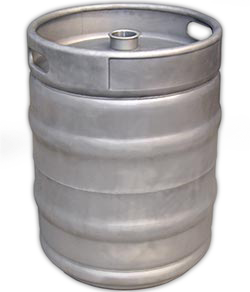 2) Keg purchases CANNOT be made over the phone or via email. 3) Kegs can be reserved for 24 hours in advance. Reservations are subject to availability. Our inventory will vary from week to week, so it’s best to inquire what’s available the day before pick up. 4) There is a $100 deposit for each keg, as well as a $60 deposit for each tap. Deposits are fully refunded when equipment is returned. We will only reimburse deposits to the customer who made the original deposits (I.D. may be required). 5) Deposits may only be made on and reimbursed to a credit card: no cash. 6) Occasionally, we may not have keg taps available, but they can be rented locally from the Ashburn Wine Shop. 7) We do not rent tubs to hold kegs and ice in. 8) Craft beer should always be kept cold. 9) All of our kegs have a standard American Sankey “D” style coupler. 10) If you have a kegerator, your CO₂ regulator should be set to 10-12 PSI. 12) If you are using a hand tap, be sure your keg is cold before tapping. 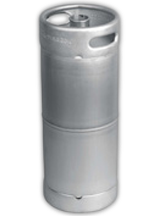 If you store your keg at room temperature, let it sit on ice for a while before tapping (24 hours is recommended if the beer has come to room temperature). If the beer is too warm when you tap it, you’ll get excess foam. If you are using a hand tap, the beer is good for 24 hours after tapping (oxidation will occur at this point). State law requires the I.D. and registration. 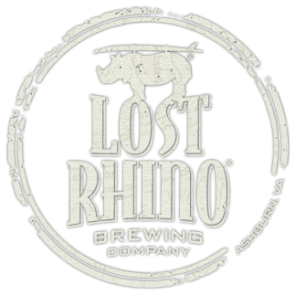 The keg itself is not only expensive but integral to our business at Lost Rhino so we need a specific deposit system in place to get those kegs back as well as give your deposit back. If we have no kegs, we have no way to get the beer out to the market. Thanks for your patience.